PLEASE READ THESE INSTRUCTIONS CAREFULLY. OUR MEASUREMENT METHOD IS PROVEN TO BE 99% ACCURATE, HOWEVER MOST MISTAKES OCCUR DUE TO CARELESS MEASUREMENTS! Thickness (Metatarsal circumference): By the help of a measuring tape, measure the thickness (T) of your foot across the boney parts at the joint of the toes (the widest part of our feet) by wrapping a measuring tape around. Keep the measuring tape as much tight as you want your shoes to hold your feet. Do this measurement while stepping on the floor, i.e. your weight should be on your feet. For more accurate results, repeat this measurement for your other foot (our feet sizes may slightly vary). In the following part take the biggest measures into consideration. Note: Sometimes the width measure is also referred, however this is not a very reliable measure, since our feet get enlarged when we step on. Therefore we will prefer the T measure here. The following tables give approximate dimensions of different shoe sizes available at our store. 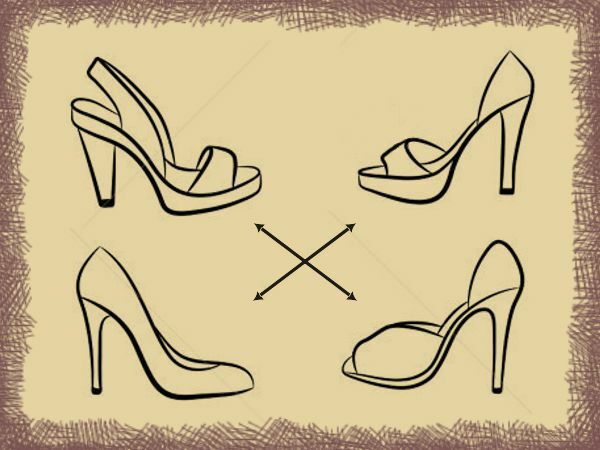 Choose a shoe size that surely encloses your feet. When considering the tickness measure, do not forget that leather has a few milimeters expansion rate when used. Note: Converted sizes of US American, British and Japanese shoe sizes are given here for comparison purpose and may not reflect a correct correspondance. Please remember that doing the above measurement is the best way to determine the correct size.